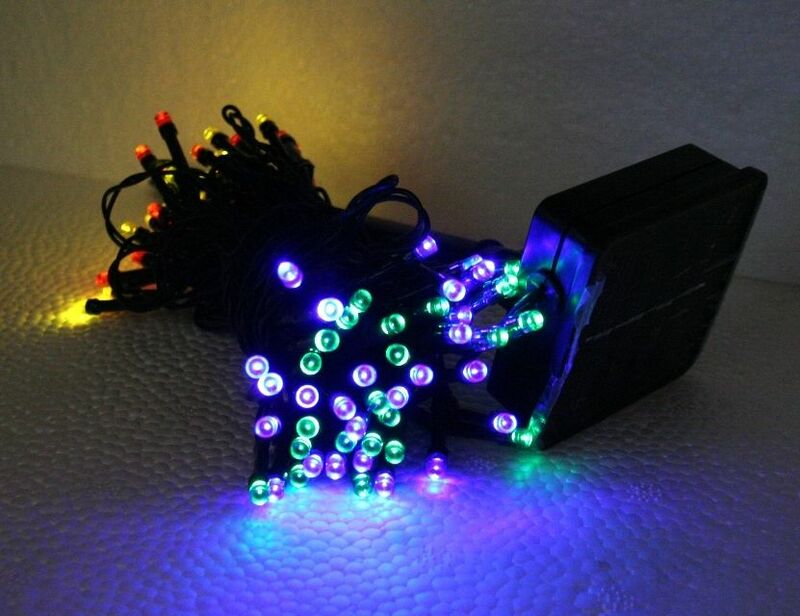 Add these 100 LED Multi color solar string lights to your home, lawn, hedges, trees, fence, post or railings. Solar string lights can be used anytime of year to add color to your backyard parties, weddings or just to add some color to your landscape. Solar string lights are easy to install; no wiring or electricity needed, just position the solar panel in an area that receives at least 6 hours of direct sunlight. 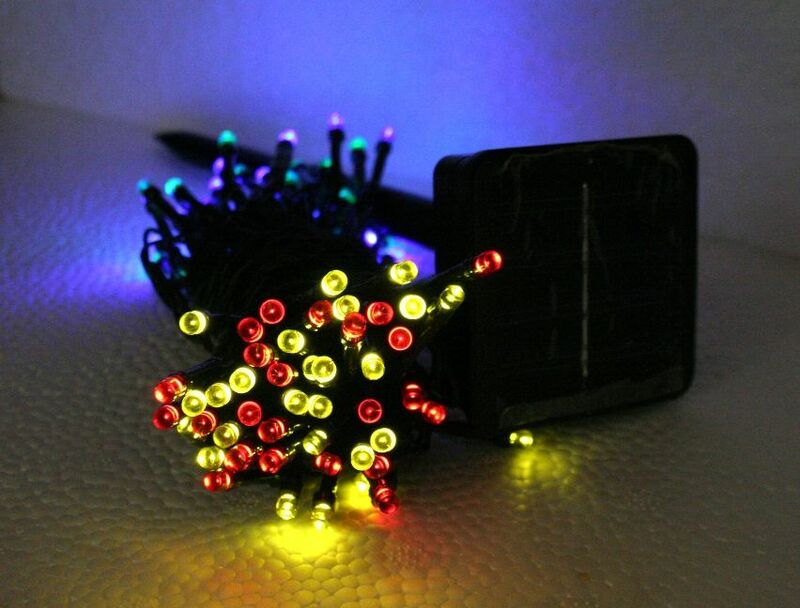 At night these solar string lights will automatically illuminate and will shine for up to 10 hours. 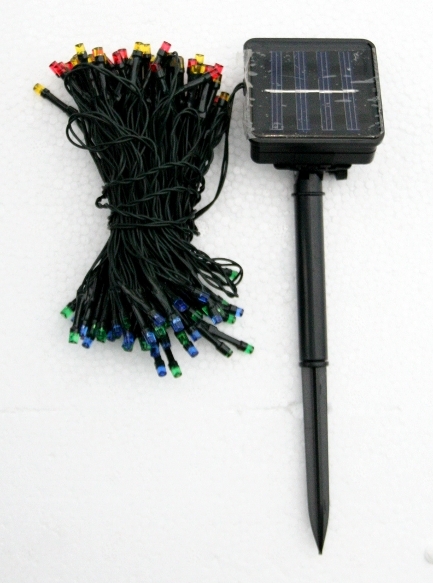 These multi color solar string lights are 37.5 ft in length and include garden stake for the solar panel.